Turn your fishing gear into a data collection tool. The new Wet Tag from Zebra-Tech is a small low cost logger designed to be fitted to fishing and research equipment to record data and transmit it to the Deck Logger without requiring data entry or effort by the user. 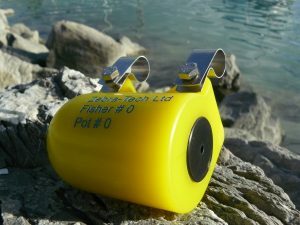 It works in combination with the Deck Logger to streamline the process of gathering catch data. Developed in cooperation with CRAMAC 5 of the New Zealand Lobster industry.